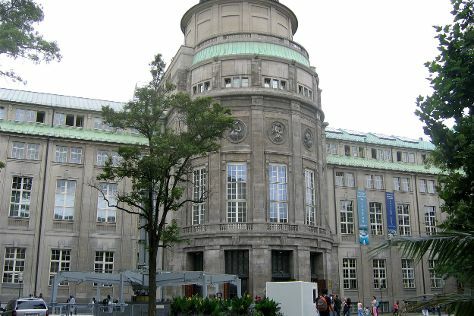 Start off your visit on the 20th (Sun): get curious at Deutsches Museum and then make a trip to Marienplatz. On the 21st (Mon), you'll have a packed day of sightseeing: explore the historical opulence of Nymphenburg Palace (Schloss Nymphenburg), then examine the collection at Munich Residenz, and then admire the landmark architecture of Neues Rathaus. For photos, traveler tips, more things to do, and other tourist information, you can read our Munich trip itinerary builder. New Delhi, India to Munich is an approximately 10.5-hour flight. The time zone difference moving from India Standard Time to Central European Time is minus 4 hours. When traveling from New Delhi in August, plan for little chillier days in Munich, with highs around 76°F, while nights are much colder with lows around 53°F. Finish up your sightseeing early on the 22nd (Tue) so you can travel to Berlin. 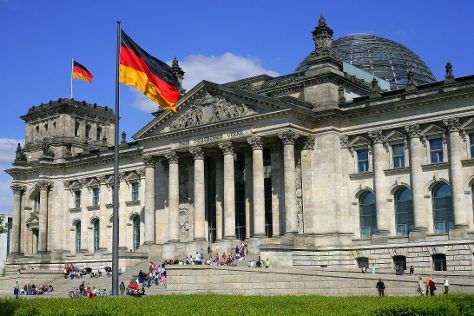 Start off your visit on the 23rd (Wed): pause for some photo ops at Brandenburg Gate, then ponder the world of politics at Reichstag Building, then pause for some photo ops at Memorial to the Murdered Jews of Europe, and finally see the interesting displays at Pergamonmuseum. On your second day here, steep yourself in history at Berlin Wall Memorial and then get the lay of the land with Walking tours. To see traveler tips, where to stay, maps, and more tourist information, use the Berlin tour planner. Traveling by flight from Munich to Berlin takes 3.5 hours. Alternatively, you can drive; or take a train. Finish your sightseeing early on the 24th (Thu) so you can travel back home.